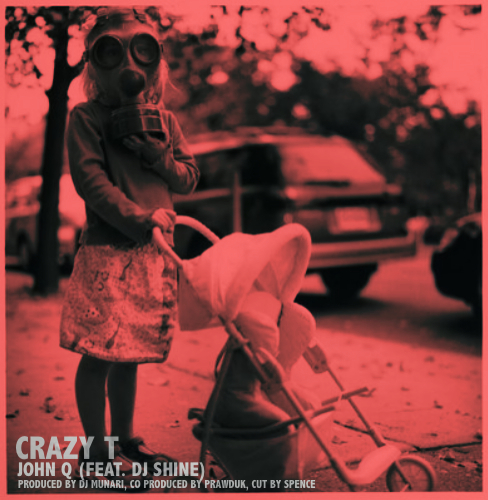 Hip-hop artist Crazy T plans to release his first single titled ‘John Q‘ this January, featuring former Drunken Tiger member DJ Shine. Crazy T is an American MC currently active in Japan. After being featured on various nationwide releases in 2008, he released his first album ‘ASAGAERI‘ in Japan through the independent hip-hop label Kix Entertainment. The first album features several renowned Japanese hip-hop artists such as Rumi, E.G.G. MAN of Soul Scream, Norikiyo and Ashra. After a year of production, Crazy T is preparing to release his highly anticipated second album ‘IN TOH YOH‘ in March of 2011. The upcoming single ‘John Q’ is produced by renowned Japanese producer DJ Munari. Munari has worked with several Japanese and American hip-hop artists such as Kool G Rap, Styles P, Cuban Link and Jadakiss. ‘John Q’ will be available this January exclusively to Japan through Kix Entertainment via iTunes Japan. For more information about Crazy T and his upcoming album and to obtain a pre-release MP3 of the single, you can visit his myspace or Kix Entertainment.